Laurence Franklin Fielding, 84, of Falmouth, Virginia passed away on Wednesday, April 22, 2009. He was born August 26, 1924 in Washington D. C., the son of the late Maude and Laurence Fielding. He was raised in Bealeton, VA, graduated from McKinley high school, and attended the University of Maryland. Larry was a veteran, having served as a U.S. Army radioman and armorer in both the Pacific and European theaters during WW II. In this capacity, he received numerous awards to include the Combat Infantryman Badge. At the outbreak of the Korean Conflict, Larry re-enlisted in the U.S. Navy, wherein he served as a radioman deployed to the Pacific theater of operations. Upon discharge from the U.S. Navy, Larry enjoyed a successful career in the U.S. Postal Service until his retirement. Larry’s pursuits included: charter membership in the International Boxing Research Organization (IBRO), active connection with the National Rifle Association, and the love of research. A voracious reader, Larry would frequently spend countless hours in the Library of Congress examining a host of topics, genealogy being one of his favorites. Larry became a boxing fan in 1937. Upon checking newspaper reports against the record books, he noticed that there were many errors in the record books of the 1930s. In 1940 he had visions of publishing an all-time record book which would have few errors, but in 1941 he abandoned this idea, because The Ring began its series of all-time record books. After retiring from his postal job, his interest in records was revived, and in 1984 he became a charter member of IBRO. Larry was one the outstanding contributors to the 1986-1987 Ring Record Book and Boxing Encyclopedia. After its publication Larry stated, “The 1986-87 Ring Record Book was a very good job, but not quite perfect.” In an interview with Ralph Citro in the late 1990s Larry continued to express his feelings that perfection is impossible to obtain, but we should continue trying to come close to it. 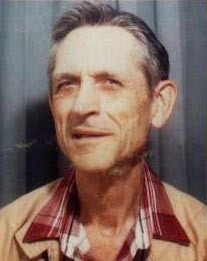 Larry is survived by his niece, Janet Clukay, two nephews, Richard Wade and Cary Wade; his brother-in-law, Herbert C. Wade; and a host of friends, most especially his friend and advocate, Margaret Lang. He was pre-deceased by his sister, Alice Lee Wade. Condolences may be sent to the family via www.mullinsthompson.com.The family requests any contribution be directed to the Central Rappahannock Regional Library. The library can be contacted at 540-372-1144.